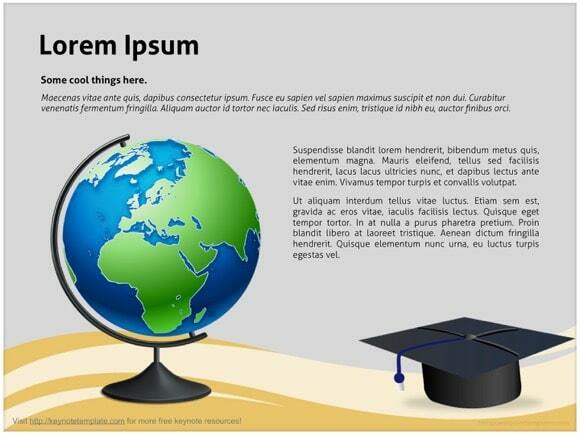 Academic PowerPoint template - FREE! 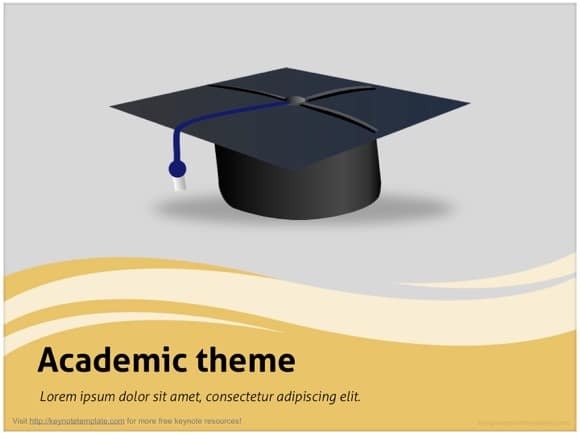 Another wonderful Academic Powerpoint Template, which is great for scholastic and theoretical PowerPoint demonstrations. 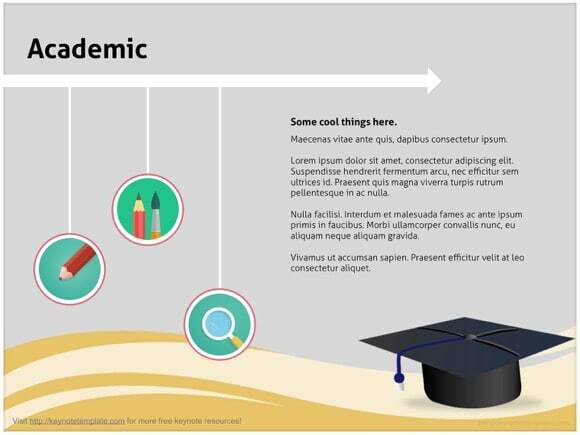 It has graduation cap in the background, so presentations on scientific and scholarly demonstrations is a good choice too. 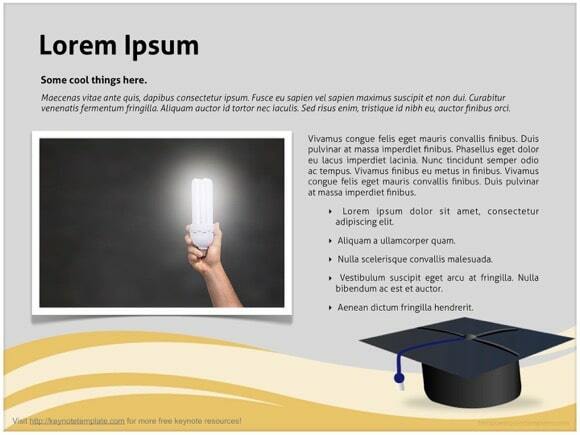 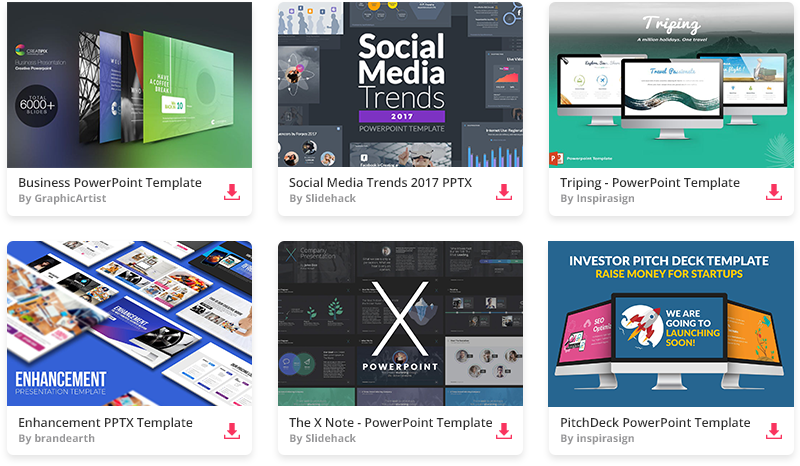 This free PowerPoint template is good for academic research and scholarship presentations. 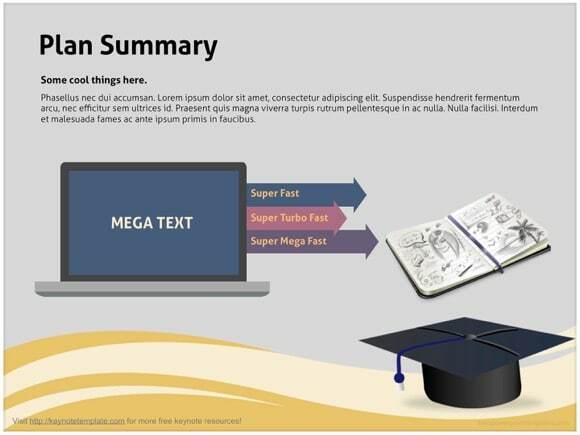 The fresh design of this PowerPoint can also be used for topics relating to education, especially if you are at a college or university. 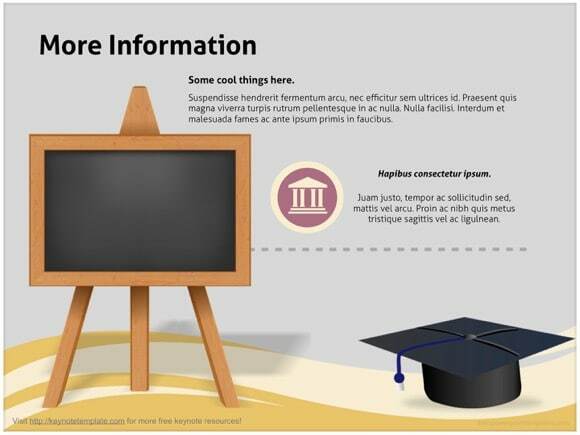 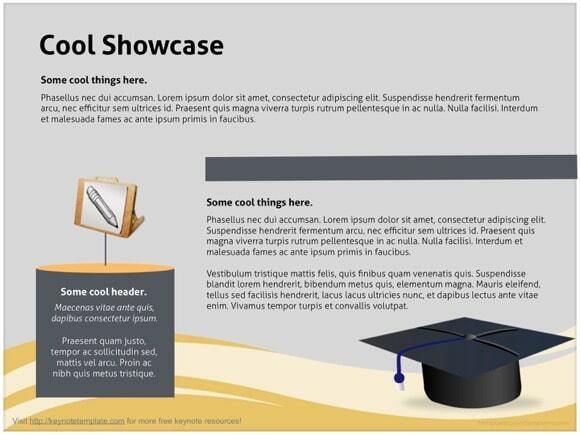 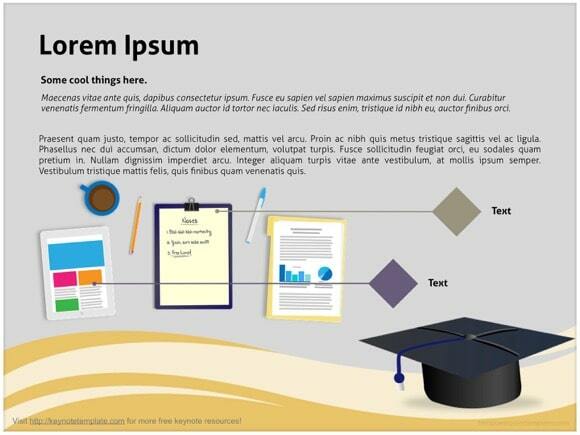 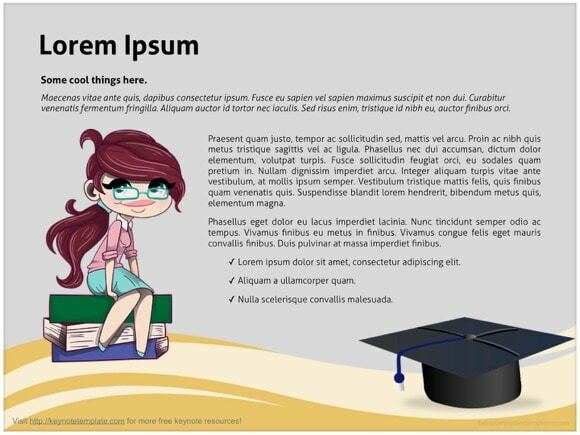 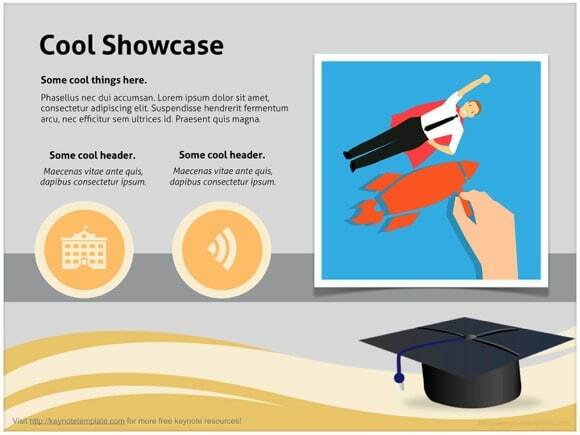 Download academic template and use it for any Microsoft PowerPoint project.